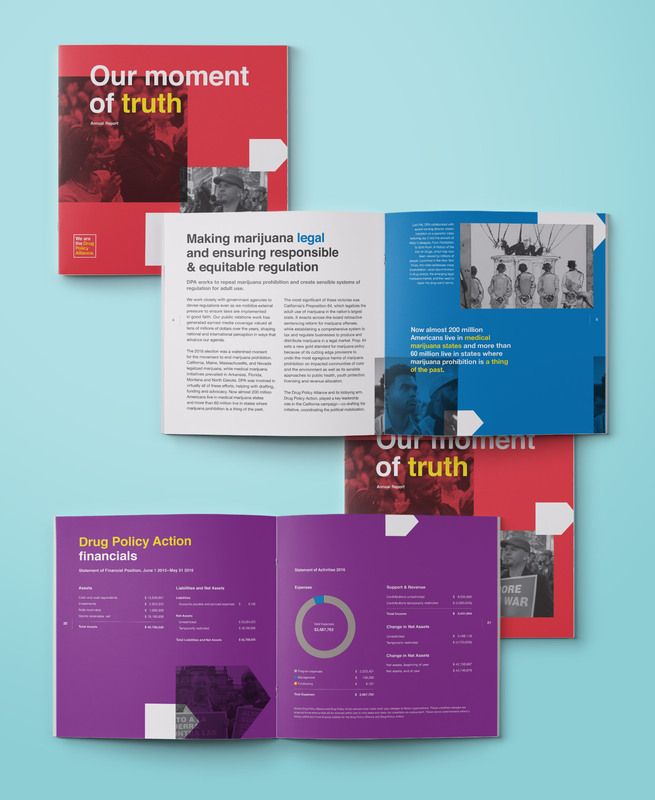 DPA is the nation's leading progressive voice on compassionate and common-sense drug laws, and I was proud to help them craft their 2016 print and digital annual reports. DPA has a bold and assertive brand identity, combining Helvetica at heavy weights, primary colors, and the motif of the square, which is also their logo; the client had already selected a square shape for their print piece. My aim was to translate those brand elements into something just as bold and unexpected. I developed a visual theme around diagonal halftone images, arrow shapes and overlaps. 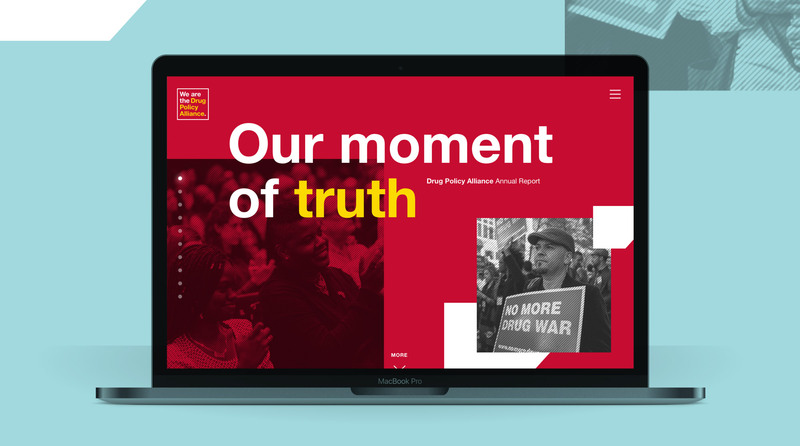 While the text in both the digital and print pieces sits on a strong grid, the images and visual elements break from it, creating a layered effect. I designed the print piece first, and then translated it to the web using a takeover-screen presentation. A contemporary new website for the leading voice for Sikh civil rights nationwide.